Emtek is dedicated to helping bring your personal style to life. Door and cabinet hardware is more than a way to open, close, and secure a space. To us, it is an integral part of a room’s design theme. 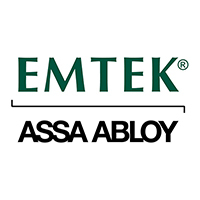 There is no predetermined combination of knobs, levers, rosettes or finishes; Emtek allows you to create a custom, mix and match lock that is assembled to order in Southern California, with no additional upcharge or lead time. Door hardware should make a statement… your statement. Open more than doors with Emtek.